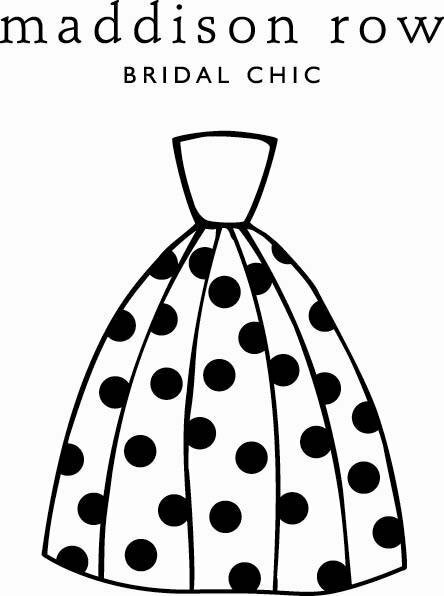 As downtown's premiere bridal salon, Maddison Row offers Lowcountry brides a sophisticated experience complete with first-class service, top designers, timeless gowns and polka dots...lots of polka dots! Located in the heart of the new design district, this quaint boutique is a must-see for any bride-to-be. So, needless to say when we heard last week that Maddison Row will be hosting a Heidi Elnora trunk show on June 17th and 18th, we thought it sounded like a match made in Lowcountry Heaven. Not only will Charleston brides have the opportunity to check out the new 2011 Heidi Elnora collection (see below), but they'll also have the opportunity to meet the sweet designer herself.